“Only approximately 10 new cancer drugs are approved by the FDA yearly” A. Mullard, 2015 FDA drug approvals, Nature reviews, Drug Discov. 15 (2016) 73e76. Many feel that institutional obsession with patient privacy smothers innovation in the life sciences. On the one hand, nobody wants to be discriminated against based on what genes they were born with. On the other hand, does anyone really care which genome or set of mutations belongs to which person? Insurance companies might, in order to deny coverage, but it seems the most logical way to prevent genetic discrimination by insurers is to regulate their behavior not the free flow of research data. In this new age, with social media companies selling behavioral data and personal details of users, perhaps it is time to worry less about political correctness and holding genetic data to a double standard, and start worrying more about facilitating data transfer and analysis so that we can more efficiently solve the cancer problem. This piece outlines recent developments with minimally invasive body fluid testing, or liquid biopsies, for capturing circulating tumor cells, or tumor cell DNA for diagnosis even before recognizable tumors develop. Part of the Precision Oncology revolution will be not only precision diagnostics, but better – earlier, more sensitive and accurate diagnostics. This report outlines the second (present) generation of Precision Oncology, based on assessing disease subtype and selecting therapy options based on how cells of these subtypes respond to therapies in a laboratory environment. As indicated in this paper, the next step towards Precision Oncology (Next Generation Precision Oncology) is to further personalize therapy by assessing not only breast cancer type, and genomic subtype, but actual patient disease cells, rather than models, when selecting therapy. 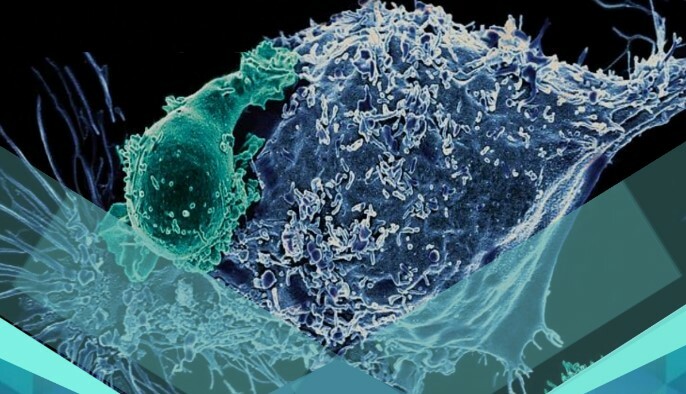 This is a very exciting report showing that a certain way of boosting the activity of tumor infiltrating T-cells stimulates them to do the jobs they are programmed to do – eradicate tumor cells. Injecting small DNA sequences called CpG oligonucleotides directly into the tumor mass results in the upregulation of a receptor on the surface of the T-cells. T-cells normally recognize this sequence as a “pathogen” signal because it is most commonly found within prokaryotic (e.g. bacterial) genomes. The upregulated T-cell receptor is then stimulated by a genetically engineered antibody injected into the tumor at the same time, resulting in a sort of turbocharging of the T-cells, and at least in the mice tested, complete eradication of the tumor. Our earlier discussion outlined the three major components of next-generation Precision Oncology therapies – immunotherapies, pathway targeted therapies and general chemotherapies – as well as the evolving methods by which these super therapies will be determined for cancer patients (from biomarker based, to disease subtype driven, finally to patient cell informed). If the efficacy of this new immunotherapy approach extends to humans (clinical trials are ongoing) even half as well as in mice, it would represent a very powerful component of these super therapies at least for palpable tumors. With circulating tumor cell harvesting technology we outlined in our 2nd story, It may be possible to also apply this technology on its own or in the context of super oncology therapies to tumors at such early stages they are not yet palpable or detectable via MRI or touch. This is an interesting meta-analysis that shows quite convincingly how important the STAT3 pathway is for carcinogenesis across a broad array of cancer types. Dozens of studies involving hundreds of investigators and over 8,000 samples were used to show that alterations in STAT3 expression levels, copy number or sequence are not just frequently, but systematically observed across a wide array of disparate cancer types. This is true not just for the STAT3 gene, but for the 10 genes that are intimately involved with STAT3 regulation (e.g. the STAT3 pathway proteins). And it is true not just for cancers of related tissue types but across a wide variety of cancers from a variety of organs, tissues and originating cell types. For some cancers, higher than normal expression levels correlate well with overall survival, and for others lower than normal expression levels correlate well with overall survival. This indicates that depending on the cancer, STAT3 could be considered an oncogene or a tumor suppressor gene. The strongest correlation between expression levels and overall survival were seen for blood, brain, ovarian and certain breast cancers, which is of interest to GLG since we have programs presently with blood, brain, ovarian and triple negative breast cancer. With blood, brain and ovarian cancer it was over expression that correlated with lower survival, and with breast cancer it was under expression that was correlated. Breast cancers come in a variety of genetic architectures and it would be interesting to see the data broken out by sub and sub-subtypes. . It would also have been interesting if data were available on phosphorylated (p-STAT3) STAT3 levels instead of merely STAT3 expression levels since the former is more relevant to biological activity. Deletions and amplifications are the most common mutations found, with point mutations much less common. Nevertheless, for certain cancer types, point mutation hotspots are identified. For example, the SH2 protein binding domain of STAT3, which is the region involved in docking or binding to other proteins, is a point mutation hotspot in uterine cancer. This is not surprising, but what is slightly surprising is that similar point mutation hotspots in this region or other regions of STAT3 are not found for most other cancers. This may suggest that normal STAT3 expression levels are most commonly altered in developing cancers by deletion or amplification mutations rather than by point mutations. It is also extremely interesting that when alterations to STAT3 are found, they tend to be found in the context of alterations in other STAT3 pathway genes, indicating that severe (accumulated), rather than minor (one-off) STAT3 pathway alterations are driving carcinogenesis. It had already been proven that STAT3 misregulation is a driver of carcinogenesis and that anti-STAT3 therapy can inhibit tumor development but this meta-analysis helps us hone in on the mechanism for STAT3 drives oncogenesis, which appears to be cell-context dependent. Overall, the results show quite clearly that STAT3 is one of the most attractive targets for pathway-targeted therapeutic approach, and that STAT3 therapy choices will need to be cancer-specific. What is good about this paper is that it is data rich and word parsimonious – the authors let the data speak for itself and avoid over-interpretation. They look at the very rich primary data source from several different angles – as it deserves. Repurposed drugs are those that have been approved for one indication or illness but show activity in addressing another. Drugs are expensive to develop (over $800M and 15 years), mostly due to the costs of clinical trials. Because repurposed drugs have already undergone clinical trials – meaning they have successfully passed toxicology assessments – the cost of developing a repurposed drug is far lower. In addition, the fact that they have passed toxicology assessments is often an indication of target specificity (as opposed to pleiotropic chaos), meaning they are more pathway focused, potentially more efficient, and less dangerous for longer-term end-points that short clinical trials cannot capture. GLG-802 (pimozide) is discussed in this paper. 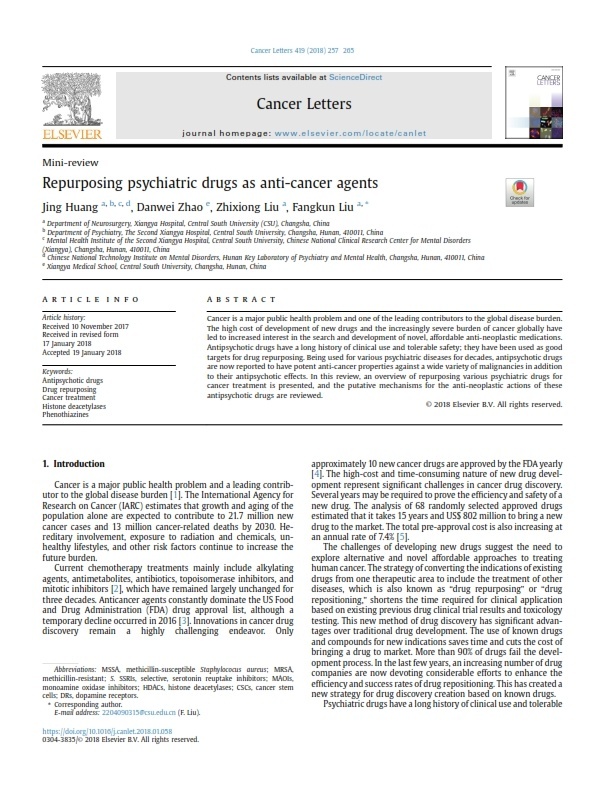 This important GLG repurposed anti-cancer drug was originally approved as an anti-psychotic. This review outlines that, of all the repurposed compounds tested to date, GLG-802 is among the safest and most lethal anti-cancer agents. Because depression is so often a co-morbidity with cancer (naturally), and because the mind is so important to overcoming the disease, the use of GLG-802 in cancer patients is particularly attractive. This is an example of the new collaborative approach to cancer problem solving. The GENIE consortium aims to relate longitudinal clinical data (e.g. patient therapy response) to genomic information in an attempt to understand how genetic drivers of various common cancers respond to current standards of care. With many of the top cancer centers participating sample sizes are impressive, ensuring that uncommon mutational drivers will be identified. 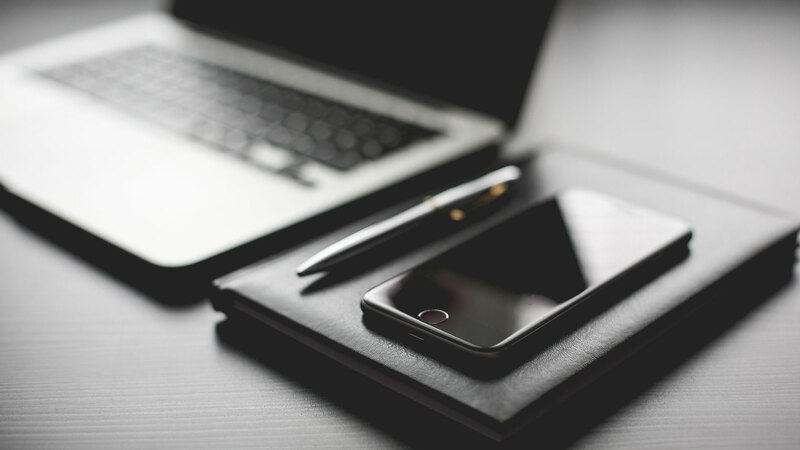 All data is publicly accessible but data transfer is restricted to organizations that can ensure GENIE standards for ensuring patient privacy. GLG’s approach is somewhat different in that we are focused on a small number of cancers that are driven by STAT3 misregulation, our sample sizes are smaller, we incorporate more than just DNA/mutation data but also exome, proteomic, and metabolomics data, but most importantly, we assess not just patient response to standards of care, but patient response on the level of the cell, to both standards of care and new, experimental therapies. For example, when challenging a patients expanded tumor cells with a small molecule library, we generate data not only on the number of cells surviving challenge by each (analogous to patient response), but molecular (biomarker) and ultrastructural (microscopy) responses, indicating how these cells are changing and which types are changing (certain clones or all of them). Whereas the GENIE project is focused on understanding genetic drivers of cancer, our approach at GLG is focused on not only empirically identifying the optimal treatment for each patient (regardless of the mechanism of their disease), but also understanding what genetic, expression or other characteristics drive not just which cancers but cellular response to small molecule therapeutics. This is important because tumors are clonal mosaics of different cancer sub-sub (or sub-sub-sug) types, of diverse genetic architecture. Others are modeling human tissues outside of the body. This technology – the “organ chip” - is used to emulate the body’s environment much like ours is, but instead of using biomimetic peptides to trick the cells into believing they are in their natural environment, they actually try to recreate that natural environment with dynamic fluid flows, mechanical forces, circulating immune cells. We feel that this is a very interesting approach for normal human tissues, but may be difficult for cancer, since tumor microenvironments are about as varied as their genetic architectures, and therefore are best modelled individually and empirically. 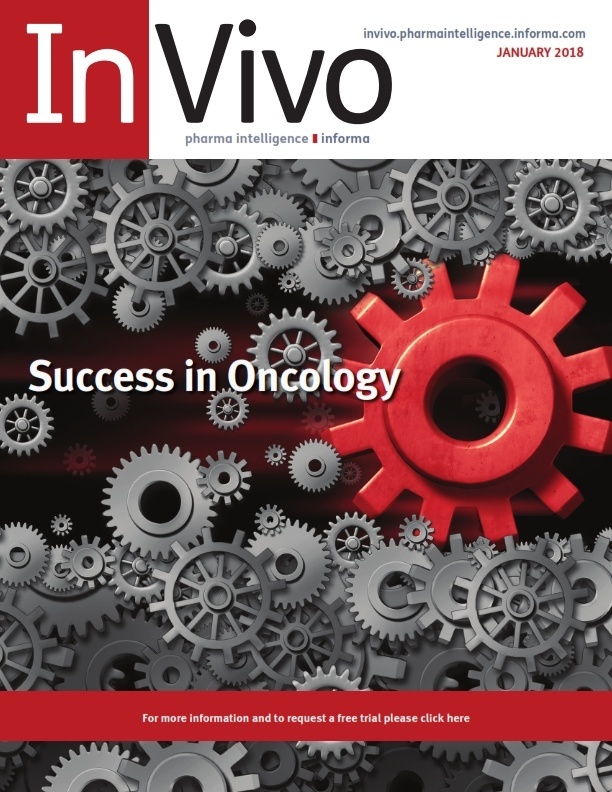 Use of Oncology Clinical Pathways (OCP) vendors can help with decision support, lower costs and maintain or improve outcomes. This review ranks the most prominent OCPs. Due to the value proposition OCPs offer patients, payers are beginning to recommend that the American Society of Clinical Oncology adopt a pathway program for every oncology practice in the United States. It is through such pathways that newly published, and recently validated and approved technologies will be able to impact patient outcomes. What is the best course of therapy for a given cancer type and stage? This is the main question addressed by OCPs, which are limited by the fairly basic and impersonal approach to oncology. But this is changing rapidly and in the near future we hope OCPs will help patients and their physicians answer questions such as: Should/can my cancer be subtyped for more precision? What does the literature say about the impact of age, gender and ancestry on the outcome for the standard of care? What about newly approved Precision Oncology approaches and clinical trials – are any ongoing that may be suitable for a given patients disease and demographic? We hope the near future OCP’s will help identify a Precision Oncology pathway recommendation for each patient based on that patients specific disease. Good to know for the future if/when you have a friend or relative in need of precision oncology. Do standard chemotherapies actually encourage metastasis and death, even in patients that respond well? This short editorial discusses recent work showing that established breast cancer neoadjuvant chemotherapies induce gene expression changes associated with the evolution of anchorage independent growth, vasculature invasion and metastasis in mouse models. These same “prometastatic” or metastasis favoring changes are observed in human patients but not enough data is available yet to be certain of the connection in humans. If this proves to be true, would the inclusion of pathway targeted and/or immunotherapies ameliorate this effect? For example, “are the … (prometastatic) sites simply the ‘remnants’ of a tumor site in which most tumor cells died, leaving a drug-resistant clone? One pathway targeted inhibitor, of the Tie2 gene, (rebastinib) blocks some of the prometastatic changes and inhibited the increase in circulating tumor cells in the mouse models. Clinical trials for childhood afflictions should be specifically tailored for age. This commentary discusses a negative clinical trial outcome in children who were administered a compound for glioma – a form of brain cancer – based on results previously obtained in adults. The common practice until recently has been to repeat trials in children in parallel with those conducted in adults, but the take home message of the trial, as outlined in this commentary is that diseases that are seemingly the same among children in adults may often not be, involving distinct molecular mechanisms, and that in a larger sense, “We have continued to ignore the fact that children are not little adults”. Yet childhood cancers are relatively rare, and in the post-genomics (e.g. molecular) age of medicine, where very large data sets are generated, low incidence of patients creates a statistical power problem. And so, new ways of thinking about clinical trials will be needed – such as targeting common denominators, immune approaches, or entirely different pathway targeted approaches such as GLG Pharma’s GX-C3 platform, and others like it. 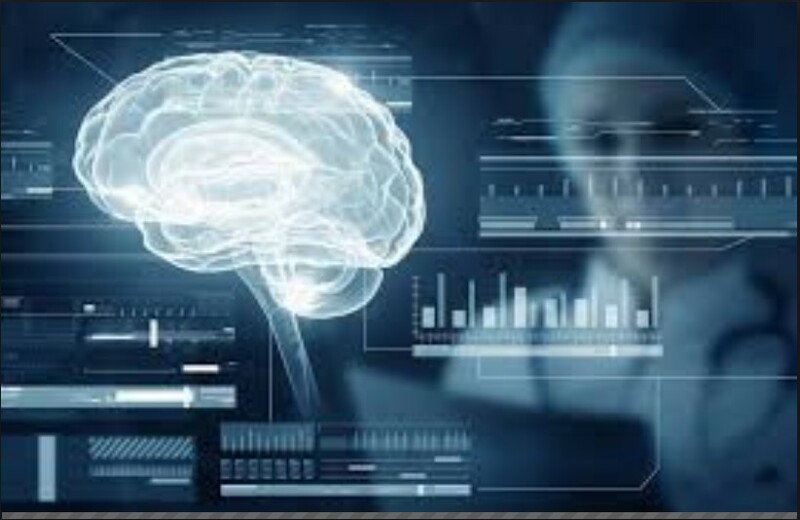 Indeed, it is no coincidence that one of the first diseases this GLG platform is being applied to is the frustratingly refractory Childhood Diffuse Intrinsic Pontine Glioma (DIPG) (see Clinical Programs page on our website) . Are pharmaceutical companies ripping off cancer patients and taxpayers by promoting unnecessarily high dosages? And are cancer patients suffering unnecessarily as a result? Many oncologists feel they are. The traditional drug development paradigm uses Phase I of clinical trials subjects patients to increasing dosing to identify the maximum tolerated dosing (MTD). With older drugs, more was almost always better, and the MTD was then applied in Phase II. Today, the situation is different because our drugs are next-generation, requiring lower doses because they target specific pathways and molecules used at specific times in specific cells (instead of housekeeping functions used by all cells). The fact is that there is a long list of drugs that would produce the same effect in patients at more than half the present recommended dosing schedule. Yet, still, pharma companies are focusing phase II clinical protocols on maximum tolerated dosing (MTD) identified during phase I. With costs in the millions of dollars for cancer patient course of treatment, the escalation of dosing by drug companies keeps treatment costs unnecessarily high, resulting in more drug sold and more profit. But it also results in unnecessary taxpayer waste, patient financial “disgorgement” and both long and short term toxicity/suffering through enhanced, and side effects. In essence, patients may be suffering unnecessarily, just to enhance pharmaceutical company profitability. Though the pharmaceutical companies that make the drugs are not interested in these kind of trials, groups such as the Cancer Care Consortium are. In an attempt to resist this dosing escalation trend, to enable physicians to do more with less drug, and to de-escalate cancer therapy without reducing effectiveness, they are actually running new trials on old, over-prescribed drugs to determine maximally efficient dosing that can be used by physicians “off label”. In this way, these organizations may allow us to enhance outcomes by expanding access and reduced costs by ameliorating waste. 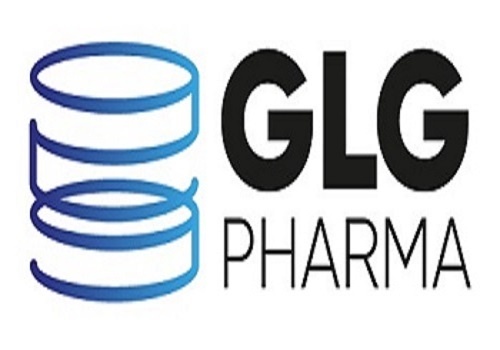 GLG Pharma intends to support ethical dosing and pledges to carry out its STAT3 phase II studies using the maximally effective dose, not the MTD needed to completely inhibit p-Stat3. We are a new kind of pharmaceutical company in many ways – from our targeted approach to disease, our adoption of cutting-edge tools, our use of smart chemistries (e.g. repurposed drugs), but also in our ethical outlook, believing that our success as a company is a function of one thing and one thing only: the total number of patients we will be able to help (not near-term cash flows). Each drug elicits a unique response among tumor types (e.g. lung, breast) but also among different patients with the same tumor type. Yet, there are commonalities too and a primary goal of next generation, precision oncology research and product development is to document and utilize both. This paper shows how ex-vivo models of patient tumors – specifically the mouse PDX model - can be used in preclinical studies to identify common mechanisms of drug resistance. In this report, mutations in a single transcription factor were discovered as a key mechanism for the development or evolution of drug resistance among triple negative breast cancer patients. Xenografted tumors (transplanted from patient to the mouse) developed mutations in this factor as they lost sensitivity to the drugs Olaparib, Cisplatin, Fluorouracil and Lurbinectedin. This mutation conferred resistance to the drugs in in-vitro cell line models of TNBC, and the mutation was correlated with relapse among patients part of The Cancer Genome Atlas database. This study shows the power of ex-vivo models for the development of rubrics that can be expected to reduce relapse risk and extend overall survival in a precision oncology setting. Misregulated STAT3 is considered a main gateway to cancer, yet there exist no FDA approved STAT3 inhibitors. STAT3, is central to various crucial cell growth/differentiation cell-cell signal transduction pathways during embryonic development, stem cell renewal, immunity and even metabolism and as such, STAT3 protein is part of a number of distinct but key cellular signal transduction pathways. Many small molecule inhibitors of STAT3 were discovered based on their ability to inhibit certain of these pathways, but later found to actually inhibit non-STAT3 components of STAT3 pathways, rather than STAT3 itself (which is difficult to drug). This kind of non-specific inhibition leads to pleiotropy, or poisoning of basic housekeeping processes in the body, leading to unacceptable toxicity. GLG Pharma is developing some of the world’s first truly-specific STAT3 inhibitors. Others too are working on this problem. In this Phase I clinical trial, a new compound (OPB-111077) found to be a highly specific STAT3 inhibitor in preclinical work, was tested on cancer patients and found to produce a stabilization of disease with tumor reduction. The group tested the toxicity of the compound on patients with a variety of cancers known to involve STAT3 misregulation. The drug was well tolerated (e.g. not toxic at reasonably effective doses) and there was a correspondence between the extent of tumor reduction and the duration of treatment. Each STAT3 inhibitor will perturb STAT3 function and biology in unique ways. For example, it would be possible to inhibit STAT3 function as a transcription factor, by interfering with DNA binding domain, but not disturb the proteins metabolic function inside the mitochondria. Indeed, the authors of the present report are not sure if the anti-cancer effect of OPB-111077 is through inhibition of STAT3-mediated transcription or STAT3-assisted oxidative phosphorylation (metabolism, or energy production inside the mitochondria of the cell). One thing is for sure. If STAT3 is going to be effectively drugged for cancer patients, many STAT3 inhibitors will need to be developed, and the best among them for particular cancers identified. This work by Tolcher et al is one of many such studies that are needed. This paper shows power of STAT3 inhibition. It also shows STAT3 inhibition can be non-toxic when directly inhibiting STAT3, as opposed to indirect inhibition targeting upstream signal transduction proteins such as JAK, RTKs (Receptor Tyrosine Kinases), which has dominated STAT3 approaches to date. The paper correctly notes that STAT3 is largely considered un-drugable. At least until GLG came onto the STAT3 therapeutic scene. 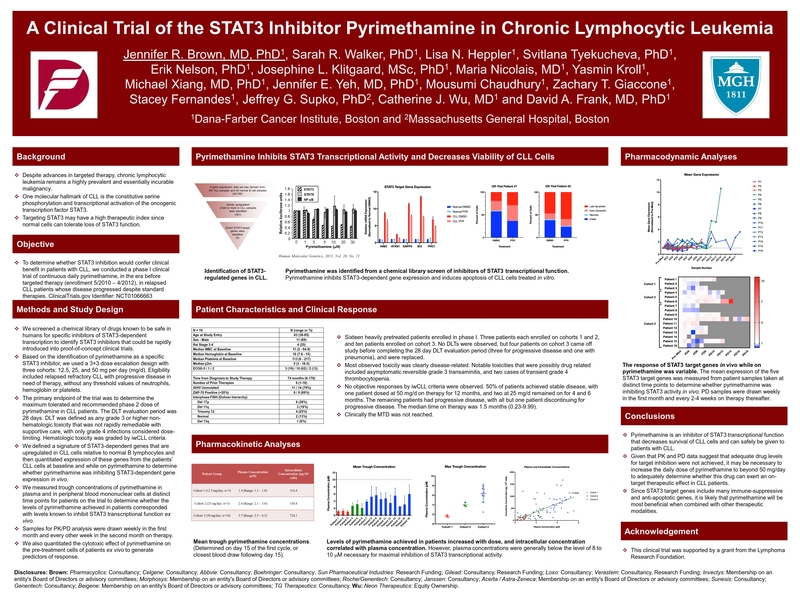 Ours are some of the only direct STAT3 inhibitors yet described. They are direct, chemical inhibitors that bind to STAT3 protein and disrupts its conformation, which precludes its ability to bind to the regulatory regions of cell division/survival genes causing them to be made through a process called transcription. This paper describes an alternative approach - direct inhibition of STAT3 by competitive binding of nucleotide (not chemical) inhibitors to the DNA binding site of STAT3. We believe that inhibition with non-nucleotide based inhibitors (such as our) may provide longer lasting, more robust STAT3 control. That is, we would expect longer lasting, and more complete suppression of downstream genes such as those shown in Figure 1 of this paper. That follows because binding of STAT3 to its regulatory sequence is designed by nature to be temporary (on and off, subject to careful control by the various cellular circuits controlling STAT3 activity), whereas non-competitive, synthetic chemical inhibitors are not part of the normal biology of the patient/pathway, and are expected to stick more strongly to the STAT3 protein (resulting in what we call lower IC50 values). This paper describes the administration of direct, oligonucleotide inhibitors of STAT3 directly into the tumor, but also systemic administration using the cyclized oligonucleotide. Cellular machinery naturally exists to degrade oligonucleotides in the body, and the half-lives of those described here are pretty short (3-12 hours depending on how their oligonucleotides are stabilized). Our drugs are considered xenobiotics, and while they are also subject to degradation through xenobiotic metabolism, this process is more cumbersome and difficult for the cell. As a result, it seems a chemical inhibitor would survive longer and therefore represent a more potent inhibitor of STAT3. Human safety is known for many of our STAT3 inhibitors; it would be interesting to determine the immunogenicity of cyclized oligonucleotides in human p[atients in follow-on work to this impressive study (human work not outlined here – treatment was performed on human tumors that had been transplanted into animals). Cell lines are the workhorse of cancer biology but have a reputation for unreproducible results. The assumption has always been that cell lines are genetically stable and results obtained from a particular cell line in one lab are comparable to those from another but many scientists have not been fans of cell lines even due to the prevalence of duplicated chromosomes, chromosome segments, genes within chromosomes, aneuploidy and otherwise strange results not reproducible over time or across laboratories. The authors of the present paper compared different cultures or “strains” of cells derived from a single cell line using whole exome sequencing to demonstrate why this may be. Specifically, they found that while the alleles expressed in the germline (X chromosome) are stable between different strains generated from different cultures of a particular breast cancer cell line (MCF7) (95% concordance), the alleles expressed in the somatic genome were not (only 86% concordance). For example the MCF7 line in one lab(s) had deletions or duplications of one allele over the other compared to the MCF7 line in the other lab(s), also possibly higher scale genome/chromosomal differences as well. In fact, this cell line has a number of documented Copy Number Variants (CNV)– where genes have been deleted or duplicated compared to the normal diploid state in vivo. When they looked at these loci they found that 26% of them were discordant – meaning the copy number differed from one lab to the other. Further, the known mutations in this cell line that change amino acid sequence were vastly different between the two MCF7 lines –19% of the non-silent mutations identified in one were not present in the other. All of this means that the genome among different cultures of this (and presumably all) cell lines is not stable. They used actual genome sequencing data (deep resequencing) with several strains or cultures of MCF7 cell line, including many that had not been subjected to drug treatment (and therefore selection), some with known mutations and one that had been passaged through mice and exposed to drugs as per PDX (MCF7-M). MCF7-M was found to be highly dissimilar to the average MCF7 character, and they termed it an “outlier” that appears to “hav(e) been through strong (selective) bottlenecks”. They found entire chromosomal arms were differentially gained or lost and hundreds of genes where copy number had changed either upwards or downwards. Only a small percentage of these were detected as common across all strains. Many of the changes were at critical genes associated with breast cancer such as TP53, ESR1 and EGFR. Genetic variation of all types was observed – loss of entire chromosomal regions, even entire arms, but also point mutations, small insertions/deletions and translocations (moving of one chromosomal segment to another place in that or another chromosome). The changes in the genes were not just observed at non-coding portions, for example, most of the point mutation coding changes were not shared among all of the strains. Essentially, the different strains rapidly evolve towards becoming totally different cell lines, much like organisms do over evolutionary time. Why might the genomic structure of a particular cell line change so quickly over time and in different laboratories? The authors results suggest a possible mechanism; they found that the genomic character (expression profiles, CNVs, etc.) clustered in an almost phylogenetic sense much like organisms do over evolutionary time, where alterations of similar prevalence among related strains can be used to reconstruct their probable genesis over time and space (e.g. different labs). They therefore posit that different cultures in different labs are exposed to slightly different conditions that impose positive selection on certain clones resulting from cell division. The genomic instability in cell lines is high, meaning that great genetic and clonal heterogeneity develops quickly with passage (seeding of new cultures from old ones), as subtle differences in selective environment seemed to favor certain subclones over others, eventually taking over the character of the culture as their relative representation increases. Among over 900 cell lines they found 22% of the genome to be affected by this kind of “subclonal event”. To demonstrate a basis for the subclonal propagation mechanism, the authors investigated whether changes in strain representation with passaging was a random or selective process by barcoding strains and passaging them over time. Rather than random changes over time, replicates clustered together indicating they were derived from certain subclones which became enriched with passaging (seeding of new cultures from old ones). This indicated that the changes observed are due to specific subtle, and unknown culture condition variations favoring certain variants that arise due to genomic instability within a strain. To further investigate this they even propagated strains from single cells and observed quick generation of genetic variation and evolution of “genomic heterogeneity” among its progeny in new cultures. They were able to track these changes over time as the new strains were expanded and found a whopping 13% of the genetic changes not shared between different time points among cells derived from a single founder cell. This really illustrated how quickly genetic heterogeneity develops directly from genomic instability at the cellular level (not just through selection of existing clonal variants among a relatively stable founding strain). They go on to explore the changes in gene expression and biology that results. Basically different strains or cultures of the MCF7 cell line take on character very quickly that render them almost completely different cell types, based on expression patterns. As a result, biology changed quickly – changes in cell division time (behavior) were several fold and cell shape and size (morphology) became highly variable. Importantly, the way the cultures or strains clustered based on biological changes comported with the way they cultured based on genomic changes, indicating that they are evolving not just in terms of gene sequences but in terms of character as well (as one might expect). Lastly they show that these changes had a dramatic effect on drug response, which is a result of particular relevance for those developing platforms for precision oncology. Numerous studies have shown the value of patient derived xenograft (PDX) mouse models of human cancer but emerging is data showing that they may not be as accurate as once believed. This Nature News article discusses a study recently conducted by Golub et al. looking at an analysis of 1,000 PDX models or 24 cancer types, comparing their gene expression/copy number over time. The investigators from the Broad Institutie of MIT and Harvard found that while “PDX models are generally genomically representative of primary human tumors” from which they are derived, the cells evolved rapidly over time, their genomes reshaped by their new, mouse environment to change “in ways that are not commonly seen in the human body” and over time they come to “diverge substantially” from the disease in the patient from which they were derived. Copy number alterations (CNAs) appeared rapidly in PDXs – 60% of them acquired at least one large chromosomal aberration with the first PDX passage, and 88% acquired at least one within four PDX passages, corresponding to 12.3% of the genome. These CNA changes extended to correlating differences in drug response, and often were the result of differential survival and selection for preexisting minor clones within the heterogeneous tumors as opposed to genomic instability of PDX cells, which was similar to that within the actual patients and was a function of cancer type not mouse vs. human environment. Recurrent CNAs (common CNAs among many tumors of a particular type) are presumably mechanistically involved in (e.g. drive) tumor formation, and the manuscript suggests that the selection pressures that led to the acquisition and retention of these “hallmark CNAs in patients may no longer exist in the mouse PDX environment” and in fact change in the mouse PDX environment. Previous studies by founders of a PDX firm (https://www.ncbi.nlm.nih.gov/pubmed/28945830?dopt=Abstract&holding=npg subject of a separate analysis in our library) have shown an 87% association between drug response in a patient and their corresponding PDX, suggesting that the presently discussed work by Golub et al. may “offer clues as to what goes wrong in the other 15% of PDXs”. This key paper is one of the first to validate the utility of mouse PDX models of cancer. PDXs were shown to preserve the histopathology and genetic landscape of the parental tumor. Among matched primary tumor/PDX tumor pairs (n=4), this group found a 68.2% concordance in single nucleotide mutations; 9.4% of the mutations found were present in the primary tumor only and lost in the PDX tumor (losses), and 22.3% of the mutations found were present in the PDX tumor but not the primary tumor (acquisitions). PDX models were found to accurately replicate both positive and negative aspects of patient response (e.g. tumor mass increase or decrease). PDXs were determined to retain therapeutic accuracy over time, meaning that when a patient exhibited a response to one compound, but later relapsed, and then exhibited a response to another compound, the PDX model for that tumor tended to respond to both compounds similarly with the caveat that in the latter case the correlation between responses was significantly worse. This was an interesting and important finding because tumors are comprised of different clonal lineages and when undergoing treatment, the lineages are subject to selective pressures that may result in differential clonal survival. Until this result showed that PDX models are capable of replicating patient outcomes over multiple courses of therapy, it was expected that PDX models would tend to be relevant mainly for first line treatment responses, before treatment driven selection had a chance to generate differences in clonal constitution between the patients tumor and the PDX model established prior to the first course of therapy. These findings held across various cancer types. Most importantly, 89% of 129 patients with various cancer types responded to the therapy chosen by their oncologist in a manner similar to that of their PDX but the authors were unable to obtain clinical correlations for the remaining 486 patients with corresponding, successfully grown PDX models which raises a concern. PDX tumors have been observed by this group to respond in specific ways – each tumor responds positively or negatively to a particular drug based on its unique genetic architecture, and no drugs caused generic positive or negative results across all PDX tumors. Some negatives from the paper include a relatively low overall engraftment success rate of only 49% - meaning half of the patients would not be served by the PDX approach. Also, this paper showed that for many of the xenografts, subclones expanded differentially during PDX generation, “supporting the notion that engraftment and passaging of primary tumors in the murine host induces dynamic changes in clonal subpopulations”. Also, when patients had gone through multiple lines of therapy since the PDX model was established and tested with the last line of therapy, their responses tended to differ more frequently from PDX model responses for that last therapy, indicating that (as expected) the tumors can evolve away from that represented by the PDX model over the course of these treatments. Read our ASH poster on GLG-801 progress”. A Call To Action- Become a Precision Oncologist! Every person is unique. Unique genetically and historically. Over 3 million positions within our genomes (0.1% of its 3 billion building blocks) vary from person to person and each of our genomes are literally the only ones of their particular sequence that have ever existed in the history of human life. Of course, all of the things we have each done, seen, been exposed to – the nature and sequence of events in our lives - are also highly personal and have interacted with our genomes during our development and persistence to create the individuals we have been, are today and will be in the future. That is, our genomes and histories have literally shaped our “Individual Architectures”. It should therefore come as no surprise then that every tumor is unique. Tumors are chaotic masses of uncontrolled growth resulting from cellular machinery that is damaged. This damage is a byproduct of our Individual Architectures, and manifests in canonical ways. Though we can recognize tumors of certain types (e.g. breast, ovarian etc. ), every tumor of a particular type in a particular individual is unique from those of the same type in other individuals. Cancer types can be broken down into subtypes (e.g. triple negative subtype of breast cancer), but even tumors of the same type and subtype are unique because the genomic and environmental history of each patient is unique. By analogy, there are almost an infinite number of ways to disable an automobile, though these ways may fall into classes such as fuel line, electrical, mechanical, exhaust etc. Each requires its own unique repair. And yet every cancer patient is treated as a representative of a population average where “one pill”, developed from large, reductionist clinical trials looking for subtle changes in response rates among generalized patient groups, is designed to “fit all”. It is no wonder that typical cancer treatment response rates are low (often only 1/3 chance of responding), duration or response for almost every patient only fleeting (typically less than a year) and survival gains only meager (e.g. months not decades). The solution to this problem is not more of the same only more and/or slightly different. Since the dawn of the genome age, we have made considerable progress defining the molecular characteristics and signatures of tumor types and subtypes. New medicines have been developed that are pathway targeted and immunotherapeutic, which focus on subtype characteristics to improve therapeutic outcome. But even these advances have only modestly changed the landscape, because they still rely on generalized categorization of patients into populations and are evaluated based on average response rates. They are still reductionist, not personalized or individualized approaches. To fix the problem, and solve cancer, we need a major paradigm shift. Which will require a revolution of thinking in how we look at patients. How we assess disease, and how we pick treatments for addressing these diseases. No more reducing patients to representatives of population averages. The future of oncology is precision oncology, where we consider the patient’s unique disease and get them the right therapy for that disease the first time. That is, to personalize therapy by assessing not only cancer type, and genomic subtype, but actual patient disease cells and to use those cells when selecting therapies, empirically, from a vast array of possible therapies. 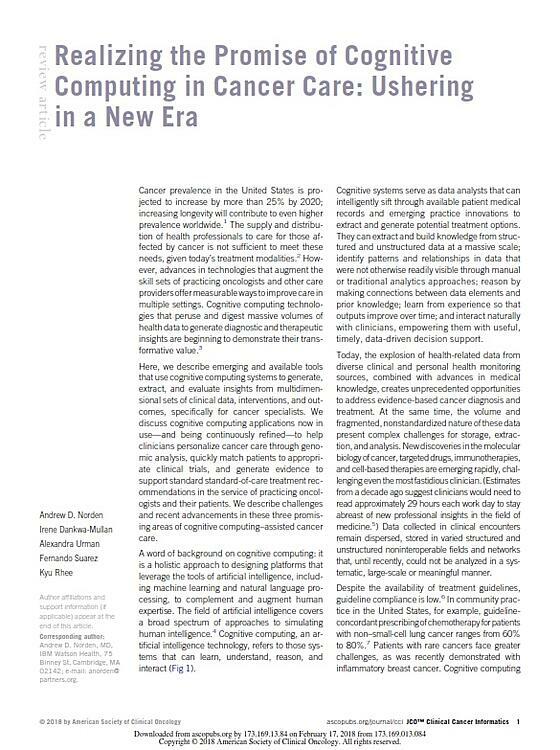 The US Food and Drug Administration recognizes this need and has been encouraging, even promoting the further personalization of Precision Oncology trials and we are presently at the threshold of an evolution for how we treat cancer. We at GLG pharma are focused on this evolving landscape and have, with our partners, developed the ultimate Precision Oncology platform – Gx-C3. From resection or biopsy, we culture patient tumor cells quickly, without (for the first time ever) disturbing their identity, and then screen them against vast libraries of general and pathway-targeted therapies to find the most effective for that patient’s specific disease – whatever its drivers, heterogeneity (amalgamated cellular constitution) or stage. We are essentially searching a drug database for each patient to find their silver bullet, which will often take the form of a specific drug cocktail, sometimes our own, proprietary, highly specific pathway targeted compounds (which target STAT3, which is aberrantly regulated in and drives about 60% of cancers, and sometimes referred to as the “gateway to cancer”). Being able to assess individual patient cells when making treatment decisions is the holy grail of oncology. Other platforms have been previously developed towards this end but suffer from inherent problems that limit their utility. PDX mouse models for example attempt to grow patient tumors within mice, but finding themselves in a new stromal cellular, interstitial and endocrine environment (belonging to another species of animal), the patient cells grow into tumors that are different than they were/are in the human from which they were derived. Cellular changes in clonal lineage composition, and molecular changes in gene expression, genomic structure and proteomic profiles lead to change in how the tumor behaves and responds to medicine and by the time drugs are identified as potent against a patient’s tumor with PDX systems, they are often no longer relevant for the patient. In addition, this process is very expensive, and slow, exacerbating the disconnect. GX-C3 solves this problem by growing the patient cells biomimetically in an artificial, 3-dimensional microenvironment that is more efficient, and more perfectly represents that from which they were taken. For each patient, we systematically identify, from vast libraries, the comprehensive set of protein sequences (e.g. ECM, growth factors, hormones etc.) that interact with the tumor cells in the patient. These correspond to growth factors, anchor registries, etc. – and the complement of these peptide sequences is analogous to the blanket we are comfortable with in our beds at nighttime. We then mass produce these peptide sequences and culture them with the patient cells, expanding the tumor outside the body in a virtually perfect biomimetic environment, creating enough for drug database screening. Using robotic equipment we then screen these cells against very large numbers of approved and/or experimental (pre-approval) compounds to find the combinations that work the best for that patient’s disease. GX-C3 works better because growth in our ex-vivo microenvironment is more efficient, reducing time requirements, and we more perfectly recreate the cellular and molecular environment each patient’s tumors is reliant on, reducing genetic drift and rendering the findings relevant for each patient. Our new GX-C3 system should be used in every clinic today but it is not (yet) used in a single one. Part of this is because our platform is relatively new, and a major change in the way we think about cancer care. Though the FDA is supportive of Precision Oncology, even streamlined approval processes take time and have lofty funding requirements. The main problem is inertia that all new technologies experience. And funding. Established drug developers are turning towards personalized medicine but very slowly. Investors are reluctant. Personalized medicine threatens the established “blockbuster” drug model, which is reliant on appreciable (however meager) efficacy in large patient groups, demonstrated through trial designs based on “average” response rates. The only way there will be change is through a revolution – a revolution in thought. And action. We need a paradigm shift not only in how we assess treatment options for patients with completely new platforms such as our GX-C3 system – but in how we can overcome established monopolistic, infrastructure and regulatory barriers. Laudably, and perhaps surprisingly, the FDA is trailblazing here. It should be industry, but compared to ambitious, small startups like GLG, the oncology infrastructure is almost structurally defective in terms of its willingness and ability to absorb rapid progress. Even though, literally, lives hang in the balance. To pierce through and overcome the inertia, we need a grass roots revolution in thought. Change will not come top-down, from the established players that dominate the current oncology marketplace, it will have to come from market disruption, which with mature and heavily regulated markets, is only possible when the customers demand it. So now that you know … which is the first step … read further about Precision Oncology, and voice your opinion. As we age, most of us will become oncology customers someday – here’s to hoping its Precision Oncology by the time that day comes!